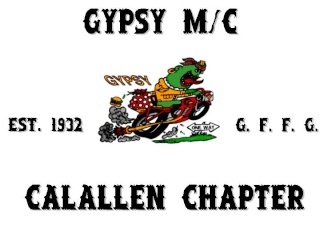 On behalf of the Calallen Gypsy M/C we would like to send "Well Wishes" to "Priceless" and we hope things are going well for you and our Prayers are with you !! Noisey and I visited with Priceless at the GDI rally this past weekend. She is responding very well to her treatments and is in good spirits. Please continue to keep Priceless and Visa in your prayers and thoughts. I received a message yesterday from Tom (Visa) about his wife Trish (Priceless), Tom said: Trish has, as of today, completed round "1" of her chemo regiment. The next round is believed to start on about the 13th of next month. We'll know for certain, I guess, after her Dr. appointment on the 11th. This next round will be different meds, and be spaced every three weeks, as apposed to the each week schedule she just finished. Round "2" is 12 weeks long. Then comes Round "3" it will be one of the "just finished" drugs again, but alone, (the hair loss drug, of course) every three weeks for 1 year! Keep her in your prayers. She seems to be doing great, but has a "long road to walk".